The triennial election year debate about immigration has been warming up over recent months. The switch from a small net loss of people through permanent and long-term (PLT) migration in the year ended 30 June 2012 (-3.191) to one of the largest PLT net migration gains ever in the year 30 June 2014 (+38,338) has livened up the blogosphere and there is a growing chorus of calls for a reduction in immigration. Some significant contributions to the debate about international migration in the past two months have been a major OECD report on immigrant workers in New Zealand, a Royal Society of New Zealand “issues” paper on what the 2013 census tells us about our possible futures, and a compendium of statistics and associated commentary about New Zealand’s contemporary development compiled by the New Zealand Initiative, a successor to the Business Round Table. In all of these reports reference is made to major fluctuations in PLT net migration in recent years and to the fact that it is the variable flows of New Zealand citizens into and out of the country for periods of 12 months or more that is the major driver of the fluctuations. PLT migration of citizens of other countries has also fluctuated but within narrower ranges than the flows of New Zealand citizens. In the years in which national elections have been held over the past two decades the debate about international migration has oscillated between concerns about either too many people coming into the country to live (1993, 1996, 2002, 2005, 2014), or too many New Zealanders leaving the country, especially for Australia (1990, 1999, 2008, 2011). It rarely seems that the flows of people into and out of the country for lengthy periods are perceived to be “acceptable” or “normal”. 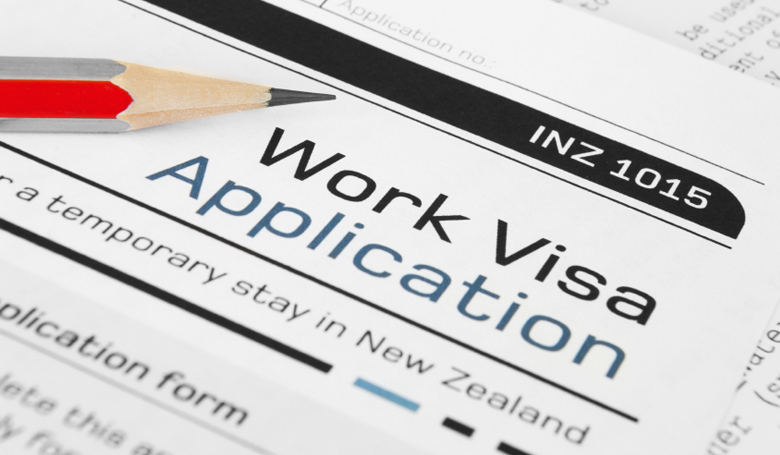 Yet immigration policy, as it relates to numbers of people approved for residence in New Zealand, has been surprisingly consistent for at least half of the past 20 years (especially since 2002) and the current system for selecting skilled migrants via an expression of interest system has been in use for a decade. If the numbers of people selected for residence under the skilled and business migrant categories, the family categories and the independent/humanitarian categories have been pretty consistent since 2004, why have PLT arrivals consistently been much higher than the numbers approved for residence? This is something that needs to be clarified because there is still a common perception that people who are categorised as “permanent and long-term” arrivals are “immigrants”. In reality only a small proportion of PLT arrivals currently are citizens of countries, other than New Zealand or Australia, entering the country on visas that allow them to reside here indefinitely. The great majority of those PLT arrivals who are not automatically entitled to reside here are on temporary visas for work or for study. They are not “immigrants”. This is very clearly evident in the PLT arrival statistics for the year ended 30 June 2014 – a year with a record number of PLT arrivals in New Zealand at the same time as there was a significant drop in numbers leaving the country for periods of 12 months or more. It is this gap between the PLT arrivals (100,784) and the PLT departures (62,446) that has given us the near-record PLT net gain of 38,338. How many of the PLT arrivals in 2014 are immigrants? The June 2014 year is the first year there have been more than 100,000 PLT arrivals since the systematic recording of arrivals and departures began in the mid-19th century. Over the preceding decade (1 July 2003-30 June 2013) the number of PLT arrivals during years ended 30 June averaged just under 84,000 a year (ranging between 79,139 in 2005 to 88,235 in 2013). Within the100,784 PLT arrivals just over a third (32,820) were people who did not need a visa to enter the country for 12 months or more — 28,004 New Zealand citizens and 4,816 Australian citizens. Of the 67,964 PLT arrivals who did need a visa 13,164 (19.1 percent) had visas entitling them to reside indefinitely in New Zealand (potential ‘permanent’ migrants). The other 54,800 PLT arrivals (80.9 percent of those travelling on passports for countries other than New Zealand or Australia) were entering New Zealand on other types of visa, mainly for temporary work (45.8 percent) or for study (26.7 percent). A small proportion (7 percent) were on long-term visitors visas. ‘Immigrants’, or people entering the country with the right to stay permanently, comprised less than a fifth of the PLT arrivals who were not automatically eligible to stay on the basis of their citizenship. This does not mean that many of those arriving on visas allowing them to work or study for periods of 12 months or more may not transition longer-term to residence, but they will do this via the various skilled, business, family and international categories in current residence policy in order to qualify for a residence visa. Approvals for residence do not necessarily translate into actual arrivals of migrants intending to stay in New Zealand. The great majority of approvals for residence are obtained by temporary migrants while they are on-shore in New Zealand. The PLT arrivals thus do not measure the arrival in New Zealand of all new residents. The evidence from arrivals by visa category in the year ended June 30 2014 (as well as over the entire decade for which visa data are available for PLT arrivals) indicates clearly that people travelling on residence visas comprise a small share of PLT arrivals in any given year. Despite record numbers of PLT arrivals, New Zealand is not experiencing major influxes of “permanent migrants”. What New Zealand is experiencing, in common with the other traditional countries of immigration (Australia, Canada and the United States), is significant annual in-flows of temporary migrants who have visas allowing them to stay in the country for 12 months or more. These people are not usually termed “immigrants”. OECD (2014) Recruiting Immigrant Workers: New Zealand 2014. Paris:,OECD Publishing. http://dx.doi.org/10.1787/9789264215658-en. The New Zealand Initiative (2014) New Zealand by Numbers. Wellington, The New Zealand Initiative. www.nzinitiative.org.nz. See, for example, Bedford, R.D., Ho, E.S. and Bedford, C.E. (2010) ‘Pathways to residence in New Zealand, 2003-2009’, in A.D. Trlin et al. (eds) New Zealand and International Migration. A Digest and Bibliography, Number 5, Massey University Palmerston North, 1-49. The New Zealand Initiative’s (2014) report repeats this misunderstanding in its short section entitled “permanent arrivals and departures” where it uses PLT arrival and departure data to show the “proportion of the total population that arrives or leaves each year on a permanent basis”. 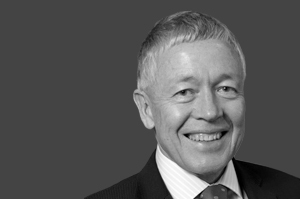 Professor Richard Bedford QSO, FRSNZ is Professor of Migration Studies at Auckland University of Technology and Research Associate in the National Institute of Demographic and Economic Analysis (NIDEA) at the University of Waikato. He is a specialist in migration research and since the mid-1960s he has been researching processes of population movement in the Asia-Pacific region. He is currently working on implications for New Zealand and Australia of population developments and migration trends in the Pacific over the next 30-40 years, including the impact of climate change on migration.